The duo have also shared a free Live Set for Ableton users to experiment with at home. Ableton has released the latest in its occasional series of videos on how artists use Live to make music. The three clips center around Berlin-based duo Mattokind (aka classical violinist Jae and electronic producer Cristiano) and how they translated music made in the studio to a live show – something that a lot of Live users will have struggled with at some point or another. 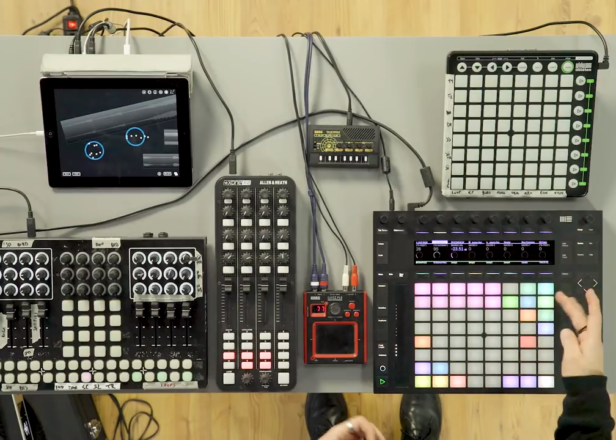 Mattokind solved this problem by creating a live rig that combines Live, a Push controller, Novation Launchpad, iPad and several other MIDI controllers alongside a Korg Monotron to make noise. In the video below, Cristiano breaks it all down, explaining how he uses macros to quickly access key functions. The duo also filmed a documentary that delves deeper into their creative process, which can be watched below. 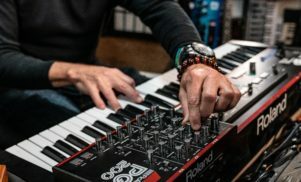 If you want to explore Mattokind’s Live Set yourself, it’s available for free download at the Ableton website, along with a list of all the (free) software you’ll need to grab as well. Earlier this year, Ableton visited Tri Angle’s Katie Gately at her home in LA to discover how she makes music from the sounds made by everyday objects like her boiler, scanner and oven. 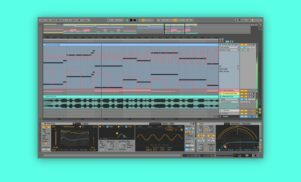 If you want more Ableton Live inspiration, find out how Kwake Bass uses the DAW with live instruments in his Against The Clock below.